Let me introduce you to my new best bodycare friend, Frank. Frank is a skincare brand made in Australia with 100% natural and naturally derived ingredients. Their main ingredient is coffee which I absolutely love because I not only adore drinking it but I love the smell of it too! I bought Frank’s Top to Toe bundle which retails at $90. 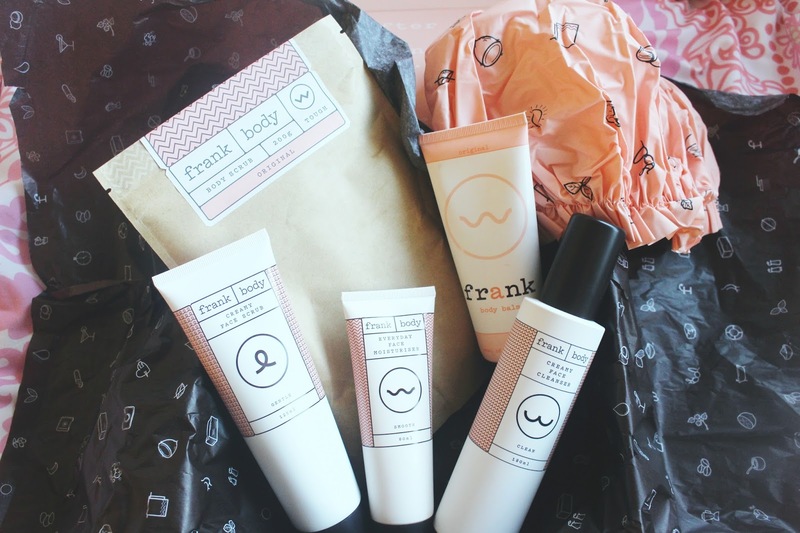 I’ve been keen to try Frank’s skincare for a long time now, not ony just the scrub they’re most famous for but their whole skincare regime which is supposed to be fantastic. This is Frank’s original and most famous product. It’s the one most heavily featured on their Instagram with girls covered in coffee grounds. At first I didn’t think that a coffee based scrub could have such a great effect on my skin but I was totally wrong. You grab a handful of this and scrub your body down with it, wait for 5 minutes and then rinse off in the shower. I find it helpful if you’re already a bit damp before applying so then the scrub sticks to you better. This scrub has left me feeling so, so soft and well moisturised WITHOUT feeling greasy. I always worry about products with oil in them (this contains coconut oil along with other natural oils) as I don’t want my back/chest to break out but it’s left my skin feeling better than ever! I also use this on my face even though it is recommended for body – I don’t scrub hard but it leaves my face feeling very soft and nourished. I would thoroughly recommend this. This cleanser is lovely and gentle on my skin, it contains coffee grinds (but very, very thin unlike the body scrub which is tougher), charcoal, coconut, grape seed and sweet almond oil. 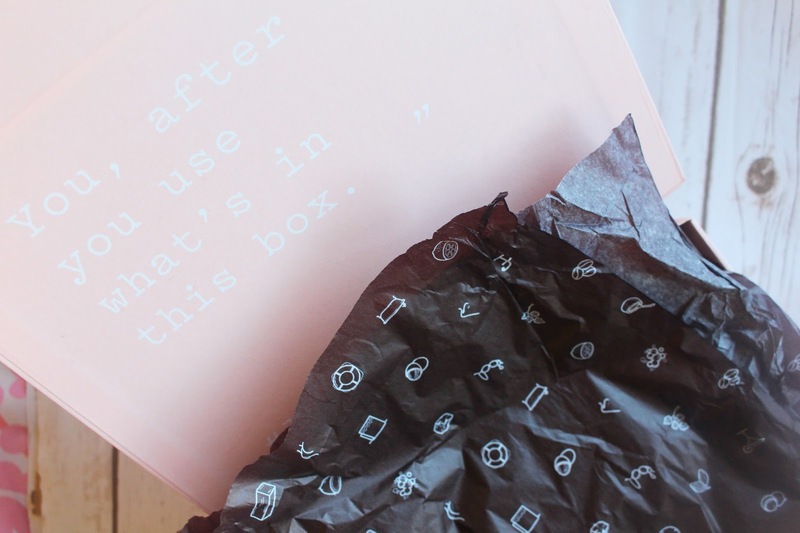 The thin coffee grounds and charcoal acts as a very soft scrub and also cleanses my skin well. I would say the only downside to this product is that it smells more of charcoal than of any of the other ingredients and charcoal is not the best of scents. This scrub contains coffee grinds, rosehip, coconut, grape seed and almond oils and white clay. 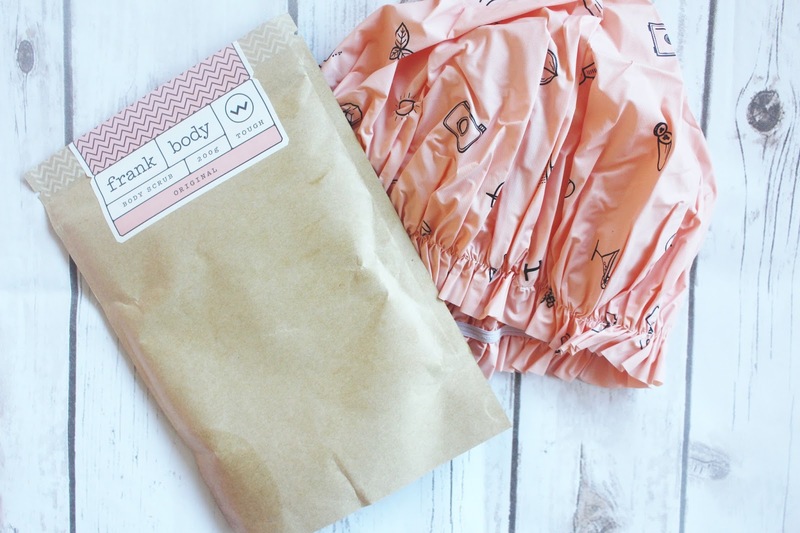 This scrub works much like the Frank Body Scrub but is much gentler for those of you who have very sensitive skin. My skin is quite tough so I use the body scrub for my face too but I really enjoy using this in the morning’s when my skin is feeling a little flaky and uneven. This smells like creamy coffee so smells a lot nicer than the cleanser. So recently I’ve come to terms with the fact that my skin isn’t oily which is what I’ve been thinking it is for a few years. After cleansing my face is usually so dry and flaky which is a tell tale sign I have super dry skin and my skin produces excess oil to counteract it. So this moisturiser has done me great favours because it is really hydrating and nourishing but doesn’t make me look greasy. I’m having a month or so without make-up to give my skin a bit of a rest and this moisturiser does a great job of making my skin look healthy and full of moisture. Frank recommends this for all skin types, not just dry – so if you’re oily or combination you can still check it out. Since I bought the bundle I didn’t know how much each item was individually so I was surprised to discover that the body balm is the most expensive Frank item even though the balm is bursting with so many great moisturising ingredients. This balm works so well after using the scrub to lock in that moisture and softness that every woman loves. The balm smells really great too. The only (kind of) downside is how oily/greasy this is. I love using it on my legs and arms but avoid areas like my back incase it clogs up my pores and causes a break out. The balm is really thick and nourishing so it works really well on dry areas such as knees, elbows or post-shave – if you go tanning often, or self tan this would be perfect for afterwards. I would thoroughly recommend this to girls who love having very soft, well greased limbs. If you don’t like thick, oily balms this one isn’t for you but Frank does have a body cream you can try out (the body cream is the only Frank product I haven’t tried yet – I’m so desperate to give it a go)! What do you guys think about this review? Are you keen to try any of Frank’s products now? – Let me know which ones take your fancy!